Hanoi (VNA) – The consumer price index (CPI) in March fell 0.21 percent from last month, helping the average CPI in the first quarter stay at a three-year low of 2.63 percent year-on-year. As such, the CPI in March rose by only 0.69 percent from last December and 2.7 percent from the year previous. Meanwhile, the core inflation – which is the CPI excluding food items, energy products, and state-managed commodities such as healthcare and educational services – dropped 0.06 percent in March against the last month. It increased 1.84 percent in Q1 compared to the same period of 2018. At a meeting on March 28, the steering committee on price management said price fluctuations in Q1 matched forecasts as they rose slightly in January, surged in February, and declined slightly in March, reflecting normal developments in the market that typically see prices soar in the month of the Lunar New Year festival and return back to usual following. The retail price of electricity was raised by 8.36 percent on average, equivalent to 144 VND per kWh, on March 20 after a long period of being kept unchanged. This hike only contributed 0.33 percent to the CPI growth in March, which had a minor impact. Facing the sharp increase of global petrol prices, the Ministry of Finance and the Ministry of Industry and Trade boosted the spending of the petrol price stabilisation fund in March to keep domestic prices stable, helping to ease the power price hike’s impact on the CPI. 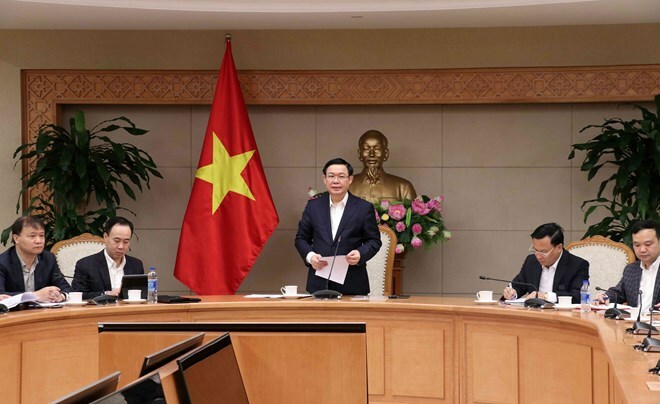 Deputy Prime Minister Vuong Dinh Hue applauded the close coordination among ministries and sectors in price management, which has been conducted in an active manner matching the market’s supply-demand situation.